Although we are based in the New Forest National Park area (Hampshire and Dorset) many of our corporate teambuilding clients have offices in or near major cities such as London, Birmingham, Manchester, Leeds, Cardiff, Bristol. We are able to source excellent hotel and venue facilities for team building exercises within easy travel of these locations. Below is a list of venues we commonly work with to run our events across the UK, we work closely with all of the venues listed and any member of our sales team would be more than happy to get you a price quote from them to host your next event. A stunning country house near Windsor and only a short drive from London & Heathrow Airport. 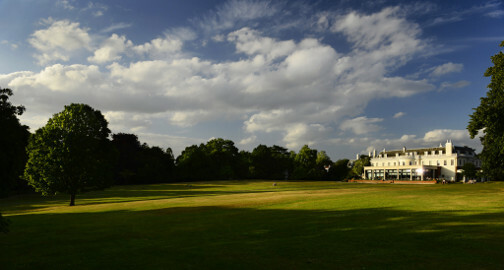 It’s an ideal venue for those looking to hold an event close to London who want to escape the city. Oakley Court is a Victorian Gothic Mansion built in 1859; the venue is set amongst 35 acres of beautiful grounds and it overlooks the river Thames. With grounds extensive enough to host any of our events, all in a wonderful setting, Oakley Court is an ideal venue. A venue that prides itself on its fantastic grounds and a stylish interior décor, Donnington Valley also has an eighteen hole parkland Golf course, Spa, swimming pool and a fitness gym. Donnington has created an informal winepress restaurant offering both modern and traditional food. Located in Berkshire and only an hour’s drive from London, we are able to run all of our events at Donnington. With over one hundred acres of rolling Surrey parkland and one of the UK’s top rated Spas, Pennyhill Park is one of the few five star venues in the UK - it’s easy to see why! If the team are demanding the highest standards, then Penny Hill Park is the perfect venue to host your event. With great conferencing facilities and plentiful activity space, we are able to offer all of our events here. A magnificent country house built in 1883, South Lodge is a quintessentially English venue. Set amongst acres of woodland and parkland, South Lodge is the perfect retreat from the city. The Venue has recently benefited from a stylish refurbishment, both updating and improving all of its facilities and ranking it as one of the few five star venues in the UK. With ample activity space and plenty of meeting rooms, we are able to run any of our events for your team at South Lodge. Largest meeting room: Up to 160 persons. An award winning New Forest Hotel just a stone’s throw away from our offices, Careys Manor is a picture perfect venue for anyone looking to host an event in the New Forest. Just minutes away from the M27 and M3 and a mainline railway station with fast trains to London Waterloo, communications are excellent. We are able to run any of our events using their grounds and rooms, making them an ideal venue for all of our events. Situated deep in the heart of the New Forest, Rhinefield house is a spectacular New Forest venue. Its stunning architecture is a beautiful blend of Tudor and Gothic; the current house has been standing since 1880 but there have been lodges on the site since 1096. History isn’t all Rhinefield has to offer, it has 40 acres of private grounds, an indoor pool, Sauna, gym and a selection of large conference and meeting rooms. All of this makes Rhinefield the perfect venue to host any of our events! Located in West Berkshire, the Vineyard is a luxurious venue that prides itself on its superb range of wines. The venue has been privately owned by Peter Michael since 1996. Peter also owns a highly regarded winery in California and has linked the two perfectly. The Vineyard boasts a superb restaurant, with a Head Chef described as the ‘Champion of modern French cooking’ making it an excellent choice for gourmet dining. The Vineyard has extensive grounds, activity fields and meeting rooms, making The Vineyard a perfect choice to host any of our teambuilding events. Wotton House has recently undergone a significant restoration and is now owned by the Principle Hayley Group. Wotton House is a country estate with a rich history, stunning architecture and attractive gardens. The venue is located in Surrey and is only a short drive from the M25 and Gatwick airport. Wotton House has thirteen acres of gardens and stunning event spaces; couple this with their leisure facilities and fantastic food and it makes them a perfect choice to host your next corporate event. Located in Croydon, it is the closest venue to central London that we work with that can host all of our outdoor activities, motorised included. Selsdon Park is surrounded by 200 acres of Surrey countryside and also has an eighteen hole championship golf course designed by JH Taylor, five time British Open Golfing champion. All of this along with the hotel’s excellent conferencing and meeting facilities makes it the perfect venue to host any of our team building events. A Grade I Listed Manor House near Southampton in Hampshire, New Place is easily reached from both the M3 and M27. Surrounded by thirty two acres of pristine parkland, the grounds include a health club, indoor pool, tennis courts and a 4x4 driving arena perfect for all of our motorised activities. Overall New Place is a superb venue that is capable of hosting any of our team building events. A privately owned four star premier venue located on Southampton’s waterfront and only a short distance from the city centre, minutes away from Southampton central Train Station. With the venue being so close to the harbour it is an ideal host for our Solent Rib Treasure Hunts and sailing events. Grand Harbour has a very large conference room comfortable for up to five hundred people. All of this makes Grand Harbour an ideal choice to host your next team building event. Part of Hilton Worldwide Hotel, this beautiful country house is set in 25 acres of grounds yet only 30 minutes from Heathrow and close to the M4, making St Anne's Manor the perfect destination for you to host your event. Whether you are looking for indoor or outdoor teambuilding they are equipped to host a range of corporate and private events accommodating up to 200 people. On the outskirts of Winchester, Norton Park is a sumptuous four-star hotel blending beautiful contemporary chic with historical elegance all set within 54 acres of peaceful grounds. On the doorstep to all that Hampshire has to offer including historic Winchester with its magnificent cathedral and the costal cities of Southampton and Portsmouth, we are able to run city based Treasure Hunts to a range of Country Sports based at Norton Park. 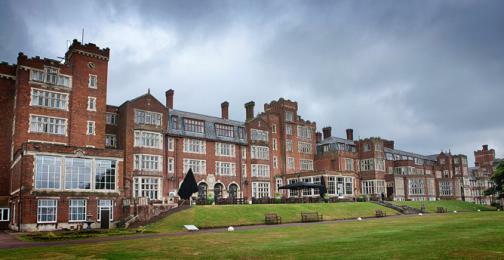 The hotel has 165 modern bedrooms, a large leisure complex & spa, a great reasturant and beautiful landscaped gardens. Hotel du vin Wimbledon is a 19th century House located within 34 acres of Cannizaro Park and adjacent to Wimbledon Common. A tranquil setting, yet well connected with easy access to central London and both Heathrow and Gatwick airports. Aside from nearby boutique shopping and extensive parkland, the hotel sits close to the All England Club, the home of tennis, which for a fortnight each year hosts the Wimbledon Tennis Championships, attracting interest and personalities from around the world. Denbies Wine Estate is a stunning family owned venue in Dorking, Surrey surrounded by 265 acres of vineyards making it truly unique. With a 3 acre activity field we can run most of our outdoor and indoor team building activities for small to large group sizes. Travelling to the venue couldn’t be easier, only a 10 minute walk from Dorking mainline station with trains running to London Victoria/ Waterloo and Gatwick is only a 20 minute drive away. The venue is also one of the largest wine producers in the UK… just leave the Wine tasting as a post event activity!